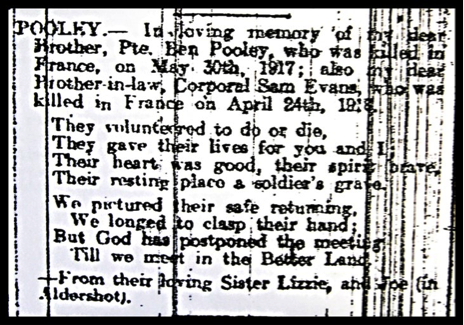 Great–grandfather of our parishioner Catherine Wallwork (nee Ives), John Edward Whittaker was one of over a million men from Britain and Ireland who enlisted for military service between May 1916 and April 1917. 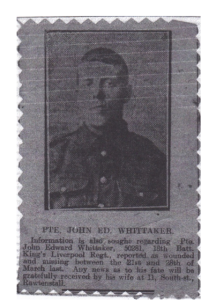 At the age of 31, married with a young family and parishioner of St James the Less, John Edward joined the East Lancashire Regiment in March 1917. Either later that year or early 1918, whilst on a short period of home leave and no doubt all too aware of the risks that lay ahead, John Edward, with his wife Elizabeth and children Elizabeth and Harold, posed for what they must have known may well have been their last opportunity of a photograph together; a photograph which has endured and is treasured by the family, today. John Edward, the oldest of 6 children, was ‘born and bred’ in Rawtenstall to John Edward and Mary Ann Whittaker. Like many families, they are shown in the census records between 1891 and 1911 to have lived at several different addresses in the town. John Edward senior was employed as a labourer and John Edward junior was shown to be working in the cotton mills as a young teenager. On 20th October 1908, John Edward was baptised into the Catholic faith at St James the Less church, where, some 4 weeks later, he married Elizabeth Wilkinson.  Over the next 8 years John Edward and Elizabeth, shown in the church records to be living in South Street, Rawtenstall were to have 4 children, only 2 of whom, Elizabeth, born in 1910 and Harold, born in 1916, survived. In March 1917, leaving his then workplace at Hardman’s Mill, Newhallhey, John Edward enlisted as Private 38005 in the East Lancashire Regiment. Details of his short military service are unclear as his record, like many others, was destroyed in World War 2, but at some point, possibly after completing his training, John Edward was transferred to the Lancashire Hussars. In late September 1917 the Hussars was absorbed into the The King’s (Liverpool Regiment) but by that time John Edward had already been in France for at least 2 months. His new battalion was immediately posted to the Somme battlefields. 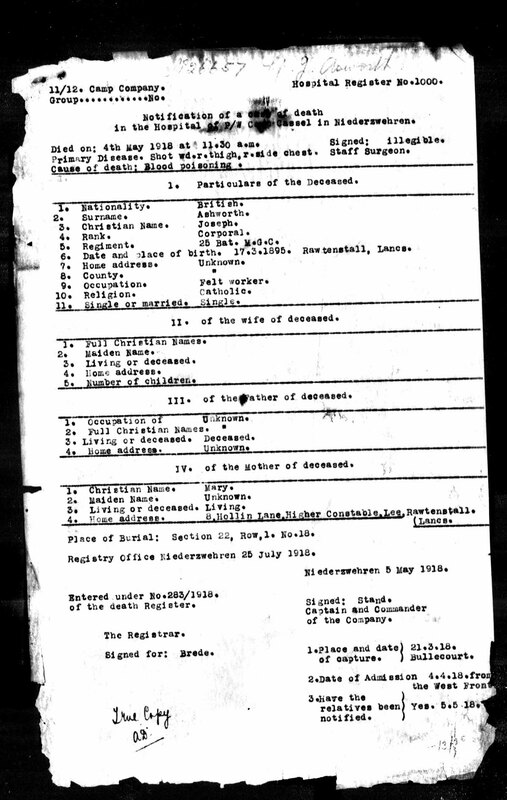 In the 6 months that followed, until March 1918, the battalion’s diary provides information about what the life of soldiers, such as John Edward, must have been like at the front for lengthy periods of time when the emphasis was mostly on consolidating, protecting and holding ground; defending against attack; building and strengthening trenches; building transport and communication systems; training; recreation (including playing football matches on Christmas Day, the diary shows) and church parades. No doubt this would have been a period when John Edward wrote to and received letters and cards from his family, some of which were kept and have been handed down to his great-granddaughter, Catherine. 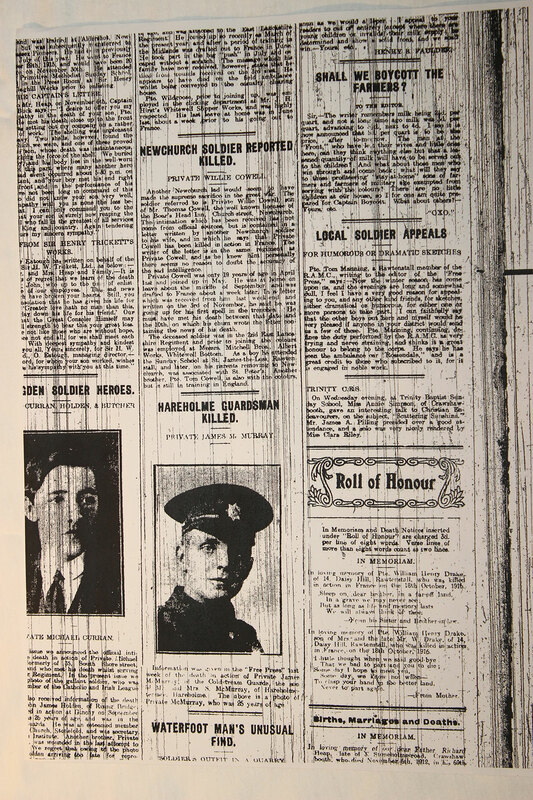 It also seems, from subsequent newspaper reports, that John Edward was allowed some home leave in early 1918. But it was on 21st March 1918, with the arrival of Spring, that this period of relative calm came to an end with a massive German onslaught, in an attempt by them to win the war. In just over 5 hours on that day on the Western Front over a million artillery shells were fired at British lines, as the Germans tried to break through to Amiens and from there onto Paris. John Edward’s battalion, the 18th, was on the front line of that onslaught and reported 383 men killed, wounded or missing between 21st and 30th March, out of a total strength of 632. John Edward was amongst the casualties, believed to have been killed on 28th March, when his company, defending the village of Folies, came under heavy enemy bombardment. Like most of those lost, on land that had already been devastated in the first battles of the Somme, his body was never recovered. Some 6 weeks later, John Edward’s wife Elizabeth, was informed that her husband had been officially posted as wounded and missing in action. 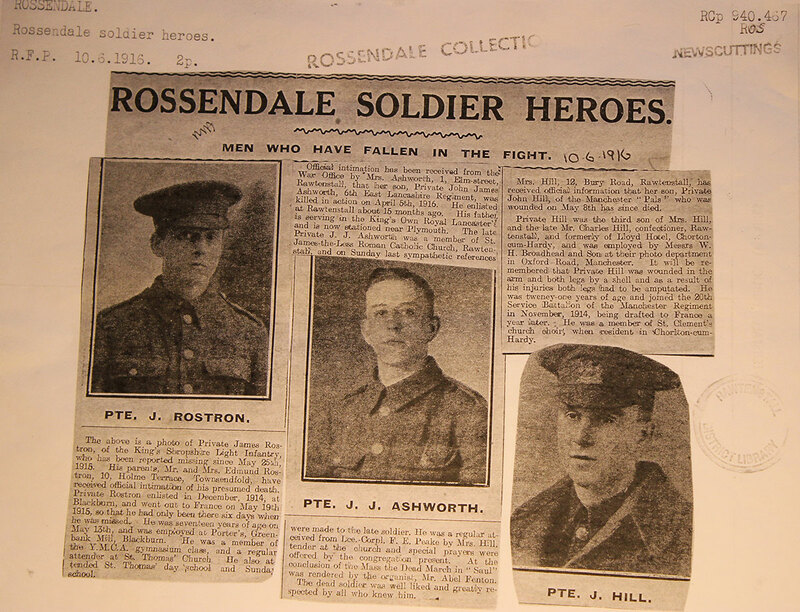 Reports of this and of the subsequent confirmation of his death, appeared in the Haslingden Guardian and the Rossendale Free Press newspapers. On 20th November 1919 John Edward’s personal effects, consisting only of back pay owed and a war gratuity totalling £7.9s.2d, were passed to Elizabeth. John Edward, one of almost 300 soldiers from The King’s (Liverpool Regiment) killed on the Somme in that 10 day period in March and never found, is commemorated by name on the Pozieres Memorial in France.